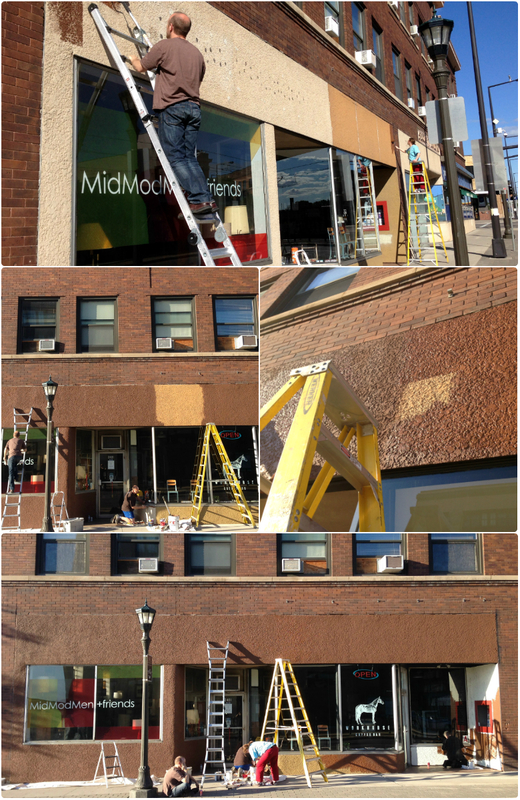 We’re always so busy restoring, designing and arranging on the inside of our store that the exterior takes a back seat. Well, after nearly three years in our space and spurred by the opening (finally) of a next door neighbor – WORKHORSE COFFEE BAR and the Smallest Museum in St. Paul – we’ve refreshed our street presence. You’ll find us at 2401 University Avenue, St. Paul, MN 55114. Store hours are Thursday through Sunday from 11AM to 5PM. We welcome appointments outside store hours. Follow us on Instagram and Facebook, too.